I spent part of Australia Day flicking through books about Australia, published by the CSIRO, an Australian icon. These are a few of the over 100 CSIRO eBooks available online via the library catalogue. You will be asked for your membership and pin number. Read them online or download to dip into them, time and again. Nature lovers are well catered for in this collection, with many titles covering our unique natural areas and how to enjoy them, our wildlife, their habits and where to look for them. A Natural History of Australian Bats uncovers the unique biology and ecology of these wonderful creatures. 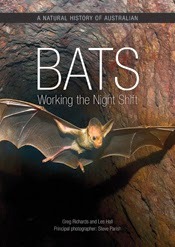 It features a description of each bat species found in Australia, as well as a section on bat myths. The book is enhanced by stunning colour photographs from Steve Parish, most of which have never been seen before. Walks, Tracks and Trails of New South Wales highlights the best the state has to offer. 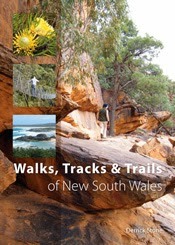 140 of the best walks, tracks or trails in New South Wales, which can be walked by the moderately fit individual. They are located in national parks, coastal parks, state forests, conservation reserves, historic parks and local government and public easements. Other routes follow state highways, minor roads, coastal cliffs, old gold routes, or pass bushranger haunts and back roads linking towns and historical features. Easy-to-interpret maps are included to help you navigate. Most routes do not require specialist navigation or bushcraft skills, and vary in length from a 45-minute stroll to a 4-day, 65-kilometre camping trip. 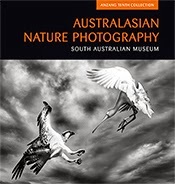 Australasian Nature Photography: ANZANG Tenth Collection presents the finest photographs submitted to the 2013 Australian Geographic ANZANG Nature Photographer of the Year competition. Each photograph is accompanied by technical information as well as anecdotes about how the picture was taken. The collection includes photos from Australia, New Zealand, Antarctica and New Guinea. If the garden is your thing, use the day to do some Australian garden rescue or learn something from Pests, Diseases and Beneficials, which helps gardeners to identify and deal with those common insects and small animals (such as bugs, beetles, caterpillars, thrips and mites) that are found in every Australian garden. It offers clear descriptions and full colour images to aid in identifying insects or other organisms, and provides useful advice on how to recognise and treat problems. 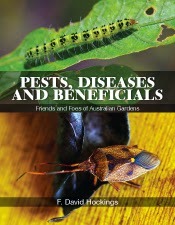 The book also covers feeding habits, life cycles and insect biology. 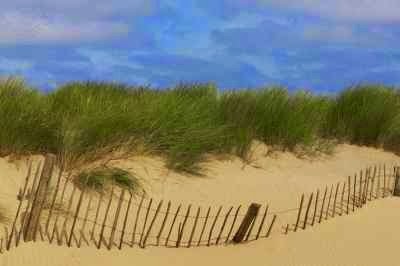 Are you at the beach? Check if your understanding of the suns effects on your skin match the science. 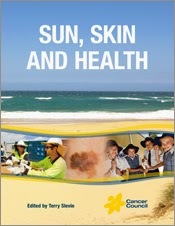 Sun, Skin and Health begins with an explanation of what skin cancer is and how it forms, then discusses ultraviolet radiation and how to protect yourself, the effects of tanning, myths and truths about sunscreen, getting enough Vitamin D, the impact of the sun on your eyes, early detection and treatment of skin cancer, and life after skin cancer. It is a must-read for anyone living under the Australian and New Zealand sun. What is it with the weather lately? Since 1788, Australia has operated on the premise of four European seasons that make no sense in most parts of the country. This title suggests it's time to reject those seasons and to adopt a system that brings us more in tune with our plants and animals – a system that helps us to notice and respond to climate change. 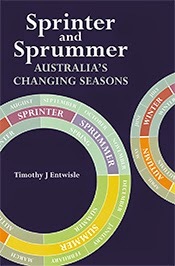 Sprinter and Sprummer illustrates how our natural world really responds to seasonal changes in temperature, rainfall and daylight, and why it would be better to divide up the year based on what Australian plants do rather than ancient rites of the Northern Hemisphere. Perhaps your Australia Day celebrations suggested some improvements to your home? 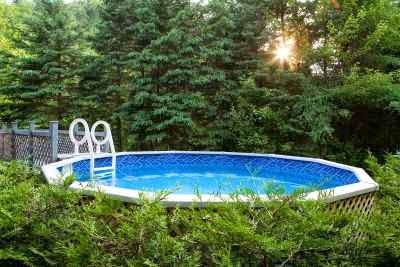 Wouldn't a swim be nice......? 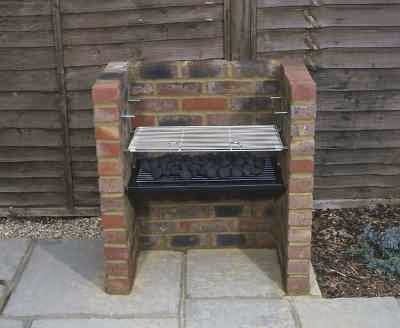 How about a permanent BBQ........? To help ensure your home improvements enhance the dream and don't become the nightmare, come in to your library and use these Building and Renovating tools to put you on the right path.